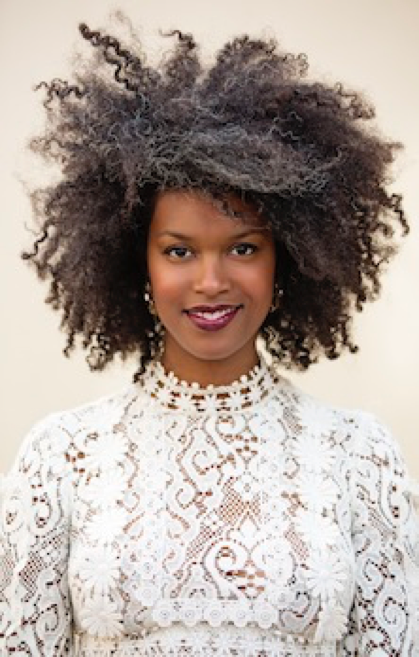 Ingrid LaFleur is a cultural producer, arts advocate, curatorial director of House Opera l Opera House, and founder of AFROTOPIA. LaFleur has developed and organized art exhibitions both nationally and internationally with a curatorial focus on Afrofuturism. Curatorial projects include Sigi Fest at House Opera l Opera House in Detroit (2015) and Where Paradise Grows at Goethe OnMain, Goethe Institute, Johannesburg, South Africa (2014). As guest curator at the Detroit Film Theatre at the Detroit Institute of Arts, LaFleur organizes the Afrofuturism Film Series. In 2013, LaFleur founded AFROTOPIA. Based in Detroit, AFROTOPIA is an evolving creative research project that investigates the possibilities of using the arts movement Afrofuturism as psychosocial healing. LaFleur explores ideas around historical traumas, myth-making, transcendence, and the role of spirit science and technology within Black American socio-political movements. AFROTOPIA includes a film series, classes for youth, monthly book club, a Dj-in-residence program, a performance art festival and an Afrofuturism Archive. Within her artistic practice, using sculpture, sound, site-specific installation and performance, LaFleur further unpacks ideas around trauma, which have arisen as a result of audience engagement through AFROTOPIA. She has exhibited in BOOM City Detroit curated by Dashboard Co-op (2015); the Something Else Off Biennial, Cairo, Egypt curated by Simon Njami (2015); Future Africa-Visions in Time at the Iwalewahaus at University of Bayreuth, Germany (2015-ongoing). Known for her expertise on Afrofuturism, LaFleur has presented at Centre Pompidou (Paris), Bucknell University (Lewisburg, PA), TEDxBrooklyn, TEDxDetroit, Creative Mornings (Detroit), Iwalewahaus at the University of Bayreuth (Bayreuth, Germany), College for Creative Studies (Detroit). 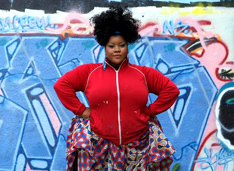 She is a recipient of the 2015 Knight Arts Challenge Award and serves as board chair of Powerhouse Productions, board member of the Cooley Reuse Project and advisory board member of Culture Lab Detroit. LaFleur is based in Detroit, Michigan. 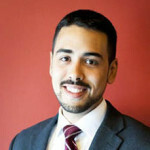 Marcos Marrero is the Director of Planning & Economic Development for the City of Holyoke, where he oversees the implementation of the largest urban renewal plan in Massachusetts, Co-Chairs the Holyoke Innovation District and serves as Executive Director to two public development corporations. He has a background in public policy and project development on topics such as economic development, urban affairs and sustainability. Previously, Marcos has served the Governor of Puerto Rico as Deputy Adviser on Federal Affairs, Energy & Climate Change and as a Policy Analyst on his Transition Committee for Education. He has also served as the Chief of Staff of the New York City Energy Policy Office at the City’s Economic Development Corporation, has served as a Land Use and Environmental Planner at the Pioneer Valley Planning Commission and taught Environmental Policy at the University of Massachusetts, Amherst. Marcos holds a dual Masters in Public Affairs and Urban & Regional Planning from the Woodrow Wilson School at Princeton University, and a BA in Political Science and Economics from the University of Puerto Rico. He lives in Center City Holyoke. Aaron Peterman is currently the outgoing Managing Director of AS220, a position he has held for over four years. Prior to managing the finances and operations of AS220, he managed the Providence design firm Kyla Coburn Designs as the Business and Design Manager. 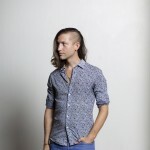 In addition to his professional career, Aaron is an active artist and shows around the country. Aaron graduated from Cranbrook Academy of Art in 2008 with a Masters of Fine Art in Sculpture. He also has degrees from Ball State University and the University of Evansville, also in sculpture. 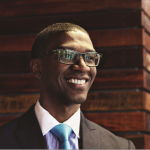 Eric Robertson, President of Community LIFT – This critical initiative in aiding Memphis to become a City of Choice focuses on concentrating human capital, economic and community development resources, and efforts to targeted neighborhoods for maximum impact. It engages citizens-at-large, neighborhood residents, the business community, government, schools, foundations, non-profits and faith-based organizations in comprehensive neighborhood-level community and economic development. Eric has over 14 years of experience in the fields of Economic and Community Development. Most recently, he served as the Chief Administrative Officer (CAO) for the Downtown Memphis Commission (DMC), which plays a pivotal role in the revitalization of Downtown Memphis. Before joining the DMC, Eric led housing and economic development programs at Lemoyne Owen College Community Development Corporation in the historic Soulsville, USA neighborhood. His extensive involvement and services to the city he loves includes serving on the boards of Leadership Memphis as a past chairman, the Soulsville Foundation, and the St. Louis Branch of the Federal Reserve’s Community Development Advisory Council, among others. Eric is a past recipient of the Memphis Business Journal’s “Top 40 Under 40” Award, an Extraordinary Leadership Award given by MPACT Memphis, The Tri-State Defender’s inaugural 50 Men of Excellence Award and he has also received an Outstanding Alumni Award from the University of Memphis College of Arts & Sciences, where he received his undergraduate degree in Anthropology with a concentration in Urban Studies. Eric is currently enrolled in the prestigious national executive leadership and education Achieving Excellence Program with NeighborWorks America and Harvard Kennedy School as a Ford Fellow.